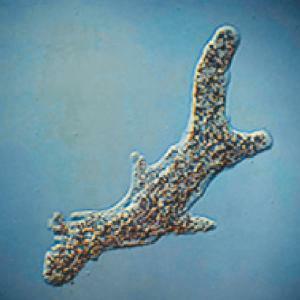 Demonstrate amoeba structure, locomotion, and feeding behavior. Amoeba proteus is a great sarcodine for demonstrating amoebae structure. 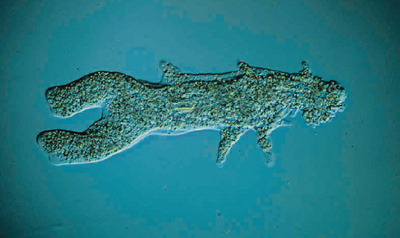 They use pseudopods for both locamotion and feeding. Amoeba feed on Chilomonas, or other small protozoa, which they phagocytize with their pseudopodia. 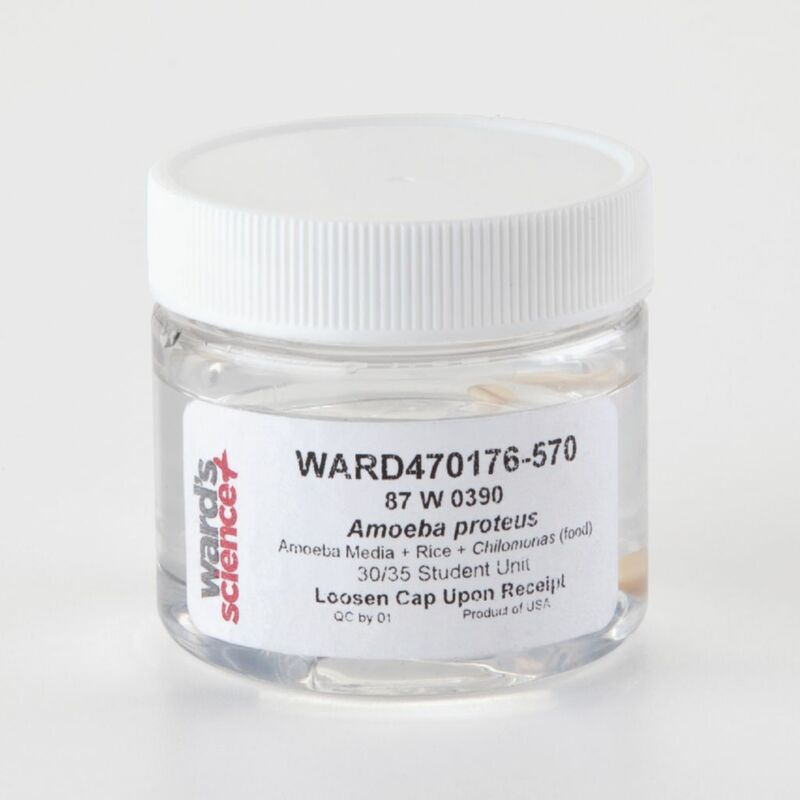 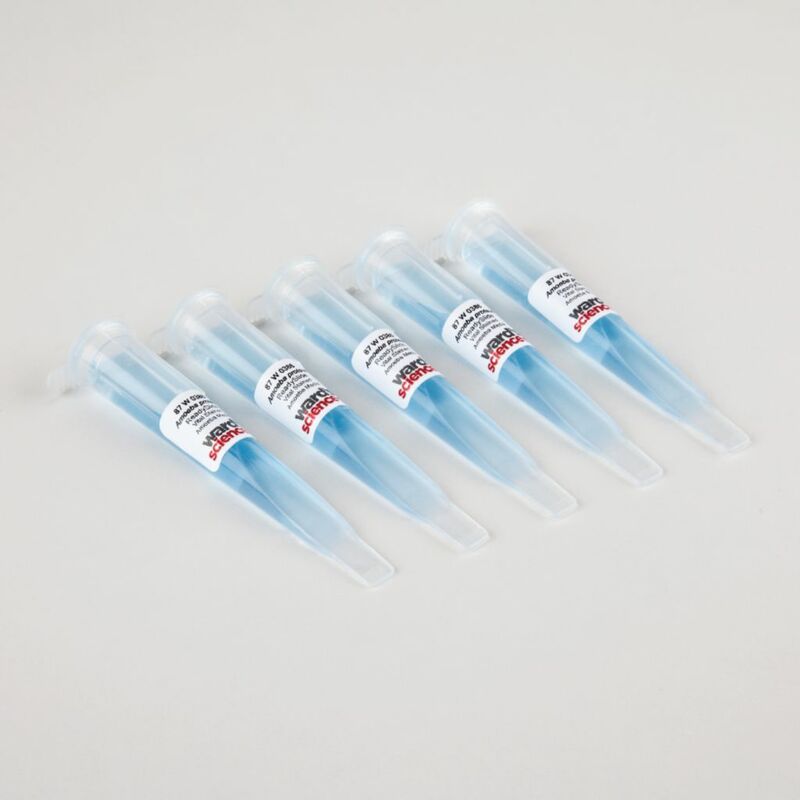 Amoeba cultures are supplied in Amoeba Media with a rice grain and food (Chilomonas).